I give you this picture of the cutest sheep in the world. 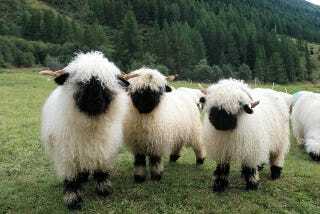 These are Valais Blacknose sheep. They are a coarse-wooled breed, and raised mostly for meat, but who could eat one of these? It'd be like eating your teddy bear.